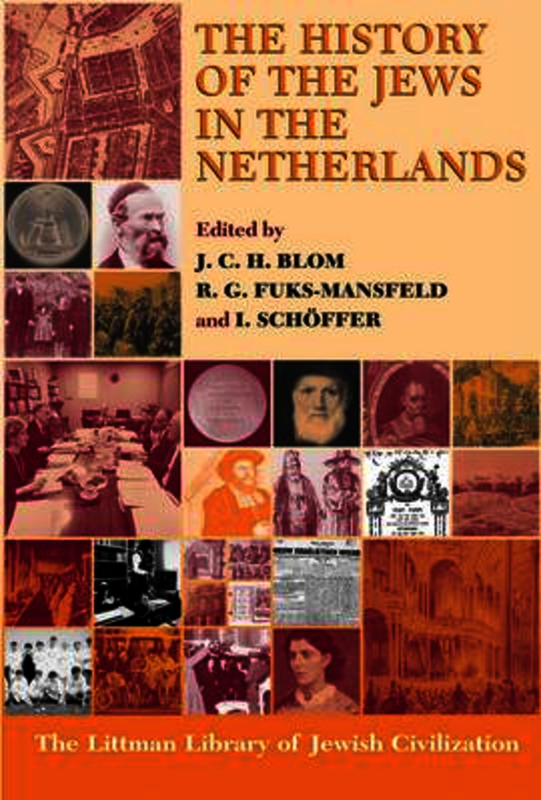 This history of the Jews of the Netherlands and the role they have played in Dutch society was originally published in Dutch and widely acclaimed for the breadth of its coverage. It covers both the internal evolution of the Jewish community and its social, cultural, and economic interaction with the wider population. From the first Jewish settlements in the medieval duchies of Gelderland, Brabant, and Limburg to the Jewish community of today, the interaction between Dutch Jews and Dutch Christians has mostly been one of fruitful collaboration which only the period of German occupation from 1940 to 1945 was seriously able to disrupt. The contribution that Dutch Jews have made, and continue to make, to cultural life, to the economy, and to science is recognized as being of central importance to the Netherlands as a whole. The ten eminent scholars contributing to this book each describe Jewish life in a particular period, from the Middle Ages to the present. In doing so they consider the strains caused within the Jewish community by the effort to play a full part in Dutch society while maintaining Jewish culture, setting the discussion in the context of trends and tensions within Dutch society in the period in question. The circumstances of the Jews under German occupation and in the immediate post-war period are also discussed. The History of the Jews in the Netherlands is a definitive, indispensable work for the study of both European Jewish and Dutch history. J. C. H. Blom has been attached to the Department of History at the University of Amsterdam since 1970, from 1983 as Professor of Dutch History. In 1996 he became the director of the Netherlands Institute for War Documentation. His main field of academic interest is nineteenth- and twentieth-century Dutch history, particularly the origins and development of denominational segregation and the years before and after the German occupation. He is the author of 'De Muiterij op De Zeven Provincien: Reacties en Gevolgen in Nederland' (1975), 'Crisis, Bezetting en Herstel: Tien Studies over Nederland, 1930–1950' (1989), and, with E. Lamberts, 'Geschiedenis van de Nederlanden' (1993). R. G. Fuks-Mansfeld is Emeritus Professor Extraordinary in the History and Culture of Modern Jewry at the University of Amsterdam. Her publications include 'De Sefardim in Amsterdam tot 1795: Aspecten van een Joodse Minderheid in een Hollandse Stad' (1989). I. Schöffer is Emeritus Professor of Dutch History at the University of Leiden. Previously he taught history at the University of Amsterdam, and from 1958 to 1961 was a fellow of the University of Western Australia. His publications include a number of studies of the history of Dutch Jewry, among them 'Veelvuldig Verleden: Seventien Studies in der Vaderlandse Geschiedenis' (1987).